According to inscriptions written in nastaʿlīq script, this painting depicts the Mughal prince Dārā Shikōh (b. 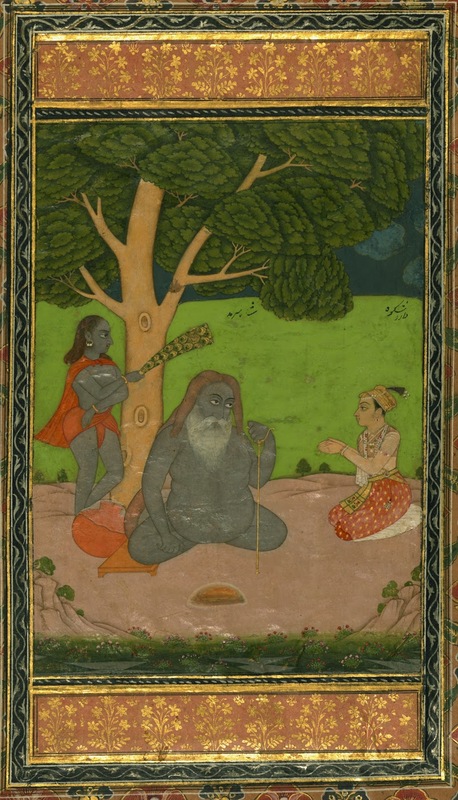 1024 AH / 1615 CE) and the holy man Shāh Sarmad (Sarmad Kashani) seated under a tree. Behind the wise man stands an attendant with a peacock-feather fan. A celebrated scholar, sufi, and ruler, Dārā Shikōh was the eldest son of Shāh Jahān.